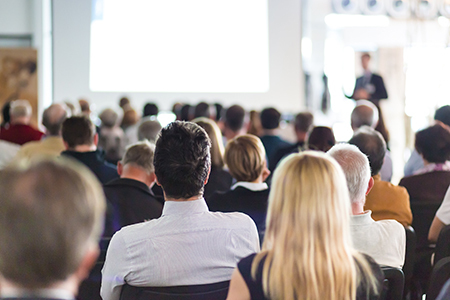 The Deswik User Conference is the ideal forum for those willing to develop their skills, connect with industry peers and enhance their technical knowledge through engaging with others’ experiences. Join us for this educational three-day event, and gain insight into real world applications of the latest mine planning technology. See innovative applications through real case studies presented by like-minded professionals. Gain some advanced skills through one-on-one mentoring opportunities. Learn to solve your issues. Bring your data and get personalized assistance. Influence the direction of our future developments – tell us what is important to your business. Discover our latest roadmap and important technical enhancements. 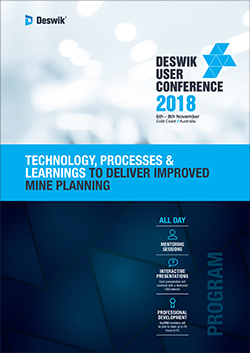 The 2018 Deswik User Conference is an opportunity to learn about the value and benefits that can be achieved by applying the latest technology and techniques to solve real-world mining problems. Will the safety thinking used by mining engineers to control risks be adequate to manage the risks of complex, integrated, semi-digital, and technical production systems? How can we effectively identify and manage these risks? Dr. Dekker will explore the complexity of drifting into failure; how new technology changes human work rather than replacing it; and, how people create resilience by holding together the patchwork of technologies, procedures, and production pressures. Barrick Gold partnered with Deswik and other vendor partners to create and implement a custom short interval control system at Cortez Hills Underground Mine. Ethan's presentation explores real-world examples of both internal and external challenges faced by Barrick to achieve successful development, implementation and adoption of this portion of their digital transformation journey. Transitioning to a new system is never easy, and can be particularly challenging in mining. In his presentation, Byron will dive into a case study on the replacement of legacy software at Vale Canada Limited’s five base metal mines in Sudbury, Ontario, Canada. Byron will share the path towards more technologically driven mines, including the keys to successful implementation at Vale Canada and the pitfalls others should avoid. Olson will detail how North American Palladium integrates the development and production planning for the Sublevel Shrinkage (SLS) zone at Lac des Iles mine in Ontario using Deswik.Caving software as a single link between the mine design, development schedule, and the production flow modeling schedule in Power Geotechnical Cellular Automata (PGCA) software. This case study will outline how the timing of development scheduling is synchronized with production scheduling in a workflow that brings together these once disparate systems to maximize profitability while minimizing the time required to run various draw strategy scenarios and the resulting effect on the development schedule. Whether an ore block is adding value in the mine or not depends on what surrounds it – does the stope pay for access, is the level economic, does the mine area make margin? What if price or costs change? Deswik.Sched has all the data, and can dynamically re-evaluate the mine as parameters change. In her presentation, Liz will cover dynamic economics in Deswik.Sched. How do you replace an in-house built mine planning system, introduce new working standards and keep everyone satisfied at the same time? This presentation will share how Boliden handle legacy mine planning system replacement for both underground and open pit operations by implementing various Deswik modules including Deswik.MDM, a spatial database and process workflow management tool. Vale’s biggest operation, the Carajás, is an integrated mining complex located in the Amazon region in northern Brazil, producing over 230 Mtpy. The mining complex’s activities contain multiple decisions and assumptions that may affect system operations bringing, as a consequence, the deviation from the optimum production sequence over the life extraction of the business resulting in reducing of net present value (NPV). Discover how Deswik’s tools make it possible to develop a life-of-mine using a blending strategy integrated with a haulage model, ensuring operational control and production and qualities targets. Former GM, Underground Mining Technology at Vale, Alex now specializes in process development and technology change that will cause a step-change in underground hardrock mining. His presentation will explain the Step Change Process and how it was applied at the Chelopech mine, Bulgaria. RGS has been working with Deswik at Mount Isa Mine to undertake a range of environmental studies relating to rehabilitation and mine closure. Case study one looks at developing 3D geological models of the regolith and using this model within Deswik.CAD and Dewik.LHS to schedule the movement of material for rehabilitation of the MIM TSF as one of a number of rehabilitation options. Case study two shows how Deswik can be used to evaluate hydrological and geological aspects of the mine and how this information can be used for environmental evaluation. Pit shell optimization is an integral part of the open pit planning process. This presentation describes how the same algorithms can be applied to the analysis of an underground mine and provides a case study where this analysis was used to reschedule an underground stoping mine, leading to a significant improvement in project value. This presentation aims to present a work developed on an open pit gold mine in order to improve cycle time adherence and propose an accurate method to estimate a fuel burn rate. The work was developed using statistical analysis of dispatch data to calibrate the truck parameters and a haulage model in Deswik.LHS. Several fuel burn rate scenarios were run, varying software parameters and comparing estimates and actuals. The achieved results from this work had a truck productivity and fuel burn rate estimates with less than 4% variance from the actuals within an 8-month period analysed. Open pit life-of-mine planning commonly defines a practical mining sequence, sets out equipment requirements, provides guidance for shorter planning horizons and is used to support ore reserves. The mine plan should, ideally, be optimal; aligned with any key planning objectives. Bacsfalusi will explore his observation that mine planners tend to apply unsuitable targets and constraints which results in suboptimal mine plans and outline a workflow in Deswik.Sched and Deswik.Blend that addresses these challenges using example outputs to illustrate key concepts. Chris Alford is a mining engineer who has worked with mining companies, mining software suppliers and in academia over the past three decades applying optimization techniques in new and novel ways in the evolution of technical software for mining applications. In the past 10 years he has focussed primarily on underground mine optimization. His presentation will review recent developments in Stope Optimizer for the design of stope shapes for narrow vein orebodies using 6 and 8 point shape geometries, and provide results from some typical case studies. Callum McCracken is Managing Director and co-founder of Minnovare - an advanced technology supplier specialising in drilling optimisation hardware and software for the mining industry. His presentation will look at actual stope performance data from Evolution Mining’s Cracow operation, who after implementing Minnovare’s new Production Optimiser system for six months in 2018, reduced average dilution by 18%, leading to a 22% increase in average return/tonne. includes access to the conference, catering and networking function taking place on the same day. Accommodation not included. includes full access to the conference, catering and networking functions. Accommodation not included. The Deswik User Conference 2018 will take place at the Sheraton Grand Mirage Resort on the Gold Coast, Australia, a 5 minute drive from Surfers Paradise beach and just minutes away from a vast array of dining and shopping precincts. 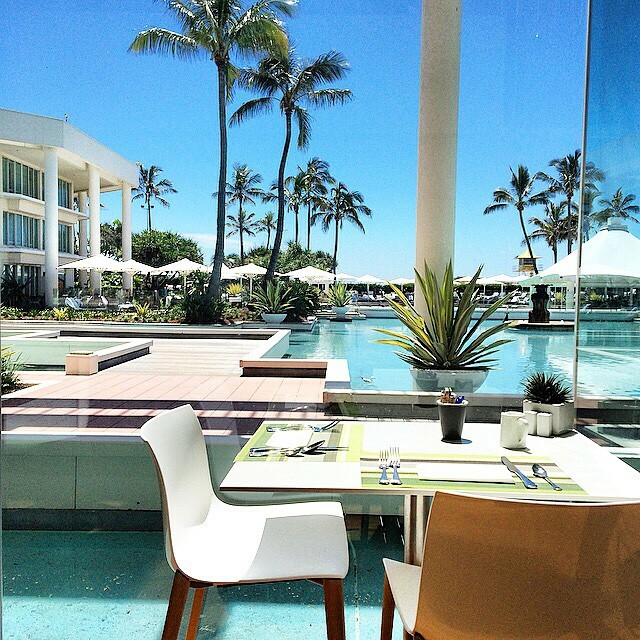 The hotel is also located 40 minutes north of the Gold Coast Airport and only a 1 hour drive away from Brisbane and both the domestic and international airports. A preferential rate of $250 per room per night has been secured for conference delegates. Bookings can be made via a private link which will be shared upon registration. If you have any questions or would like to find out more about the Deswik User Conference 2018, contact the Deswik Events team.